Epicoccum is a cosmopolitan fungus with a worldwide distribution. Epicoccum is a common soil and litter fungus, and is also a secondary invader of plant material. Epicoccum has a rapid growth rate with a lanose to felty appearance. Colony colors are often bright and can include yellow, orange, red and/or brown. The conidiophores of Epicoccum are short, undistinguished and grouped in clusters. Spores are dark brown, globose and muriform (septa in both directions, like a soccer ball). 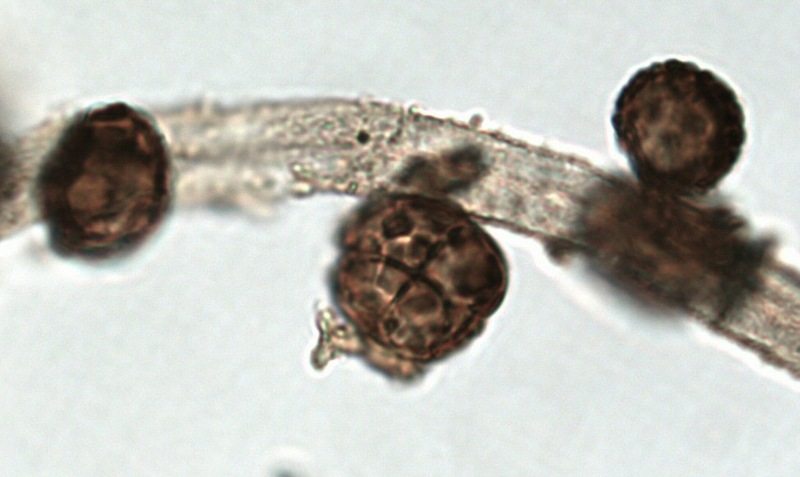 Spores are often observed on colonies growing in culture as little black dots. Epicoccum is not generally considered a human pathogen.